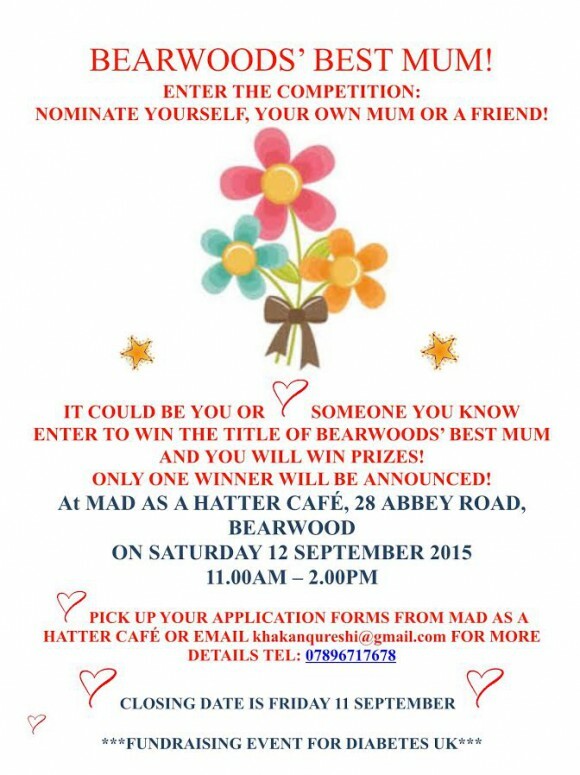 Khakhan Quereshi, who was the brains behind the Bearwood Bake-off, has now launched a competition to discover Bearwood’s best mum. Of course, we know all mom’s are really the best in the whole wide world…so, it’s just a bit of fun in a good cause…with a prize for the winner! !